In a small bowl, whisk together the yogurt, buttermilk, mustard, lemon juice, agave nectar and salt. Gently stir in the dill. Place the romaine lettuce in a serving bowl. 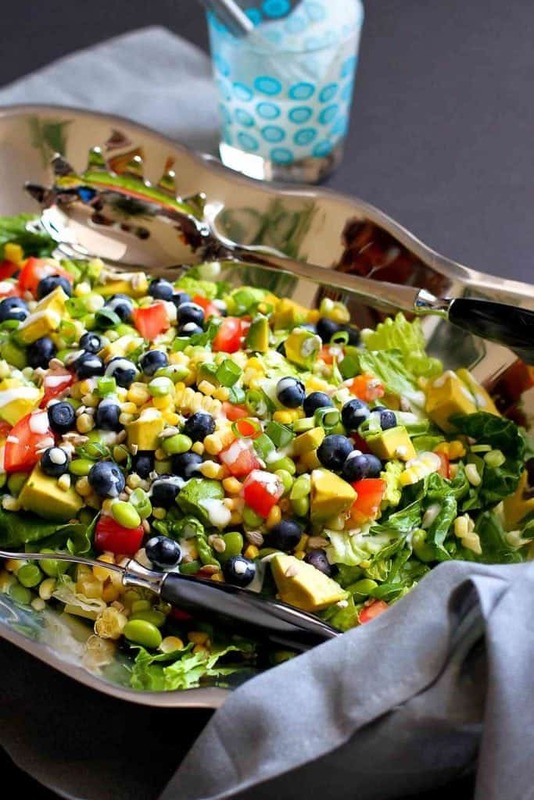 Over the top, sprinkle the corn, tomato, green onion, edamame, avocado, blueberries and sunflower seeds. © 2018 Cookin Canuck. All rights reserved.